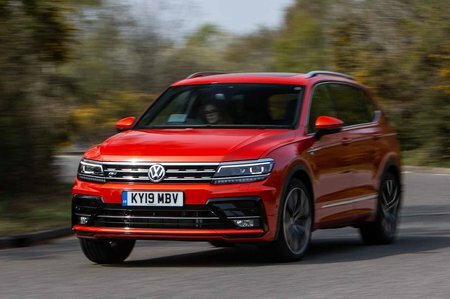 Volkswagen Tiguan Allspace 2.0 TDI 190 4Motion SEL 5dr DSG 2019 Review | What Car? What Car? will save you at least £3,341, but our approved dealers could save you even more. This gains a few luxuries over SE Nav, such as digital instrument dials, adaptive cruise control, even bigger alloys, a panoramic sunroof and some piano-black trim. It’s plush but rather pricey, so we'd recommend sticking with SE Nav.